Double 12" version. Delsin X-Series reissues My Home Is Sonic, a standout techno, dub, and minimal album originally released in 2001 by Icelandic producer Arnvidur Snorrason aka Exos on Æ Recordings. Exos, the son of dub techno producer Octal, has released three albums and a swathe of fine EPs on labels like Thule, Mosaic, and Slow to Speak; he's also been picked up by Nina Kraviz. His ability to build great atmospheres and heady soundscapes is unrivalled on this album; they are always fresh, wintry, and compelling. Few have done minimal dub techno better, before or since this masterpiece, so it's right that 2015 sees it revisited by fans old and new alike. 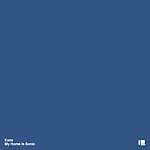 Delsin X-Series reissues My Home Is Sonic, a standout techno, dub, and minimal album originally released in 2001 by Icelandic producer Arnvidur Snorrason aka Exos on Æ Recordings. Exos, the son of dub techno producer Octal, has released three albums and a swathe of fine EPs on labels like Thule, Mosaic, and Slow to Speak; he's also been picked up by Nina Kraviz. His ability to build great atmospheres and heady soundscapes is unrivalled on this album; they are always fresh, wintry, and compelling. Few have done minimal dub techno better, before or since this masterpiece, so it's right that 2015 sees it revisited by fans old and new alike. The CD contains ten additional untitled interludes and five extra tracks. Yes, this is the same Icelandic dub-techo artist who previously released a bunch of late 90s classics on Force Inc. and Thule. One-sided record (sort of, there is a side 2 -- it has something to do with how marihuana might be a drug), 180 gram RTI pressing, absolutely gigantic sounds. "'Reflection shows us that our image of happiness is thoroughly colored by the time to which the course of our own existence has assigned us. The kind of happiness that could arouse envy in us exists only in the air we have breathed, among people we could have talked to, women who could have given themselves to us. In other words, our image of happiness is indissolubly bound up with the image of redemption. The same applies to our view of the past, which is the concern of history. The past carries with it a temporal index by which it is referred to redemption. There is a secret agreement between past generations and the present one. Our coming was expected on earth. Like every generation that preceded us, we have been endowed with a weak Messianic power, a power to which the past has a claim. That claim cannot be settled cheaply.' --Walter Benjamin. Self-determination, greatness, eternity. Make your reality and it becomes you. Put your heart and soul into what you love and others will recognize your sincerity, seek you out and reward your brilliance: from this comes greatness and glory, infinite and undeniable -- a fraternity of the eternal. And yet with each successive epoch, the present greatness of our moment, our time, disintegrates and disperse -- becomes the mere stepping stone, the quintessential prerequisite to a future heralded anew as 'the great epoch of our time.' We fight an impossible war for historical cultural supremacy, and we do so blindly and selfishly, determined to achieve that greatness that we know has not yet settled down with one generation immovable throughout time. Secretly we pity these past fetes of culture, assured that ours is the time, the moment of greatness, importance and ultimate historical worth. So our art morphs from what was once practiced at first as a matter of self-fulfillment, personal necessity and fraternal interchange & enjoyment to one of vein self-service & epic self-deceit. When we continue to ignore the fact that art is no longer a social endeavor---that it no longer participates in and affects the real social changes occurring around us, it's vitality inextricably tied to our historical standing -- and allow it to remain autonomous from the very real material conditions that, in no small measure, make up the entirety of our current existence, we willingly clear the path to our own irrelevance, soon to be remembered, at very best, as a shimmering piece of antiquity typical of the old world, one that once held a vital and vivacious beauty in its moment, but nay, no longer, sentenced to the dungeon of the specialists of the past. But, it is too late... for we will soon become they. Slow To Speak returns with their latest label release, pressed on limited 180 gram vinyl w/ Japanese obi." "AE Recordings presents the first full length album to be released on the label. 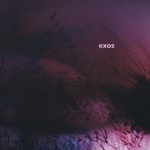 An amazing album by the Icelandic techno artist Exos. He is all ready well established within the techno community after releasing two LPs on the critically-acclaimed German minimal label Force Inc and series of 12"s on Thule Records, Tissju and Mosaik and in addition, remixing Ben Sims and Pascal F.E.O.S. to name a few. Exos is not only a talented musician but also regarded as one of Iceland's best techno DJs." Last copies, reduced price.